RIP J.D. Mark. March 18, 1970-July 11, 2013. Musician J.D. Mark, James David Mark, age 43, died in Detroit on July 11, 2013 from natural causes. Mass of Christian burial will be held Tuesday, July 16 at Holy Redeemer Catholic Church. Burial to follow at Sunset Hills Cemetery Visitation at the Allen Funeral Home, 9136 Davison Road, Davison, Michigan. Sunday 4:00-8:00, Monday 12:00-8:00. J.D. 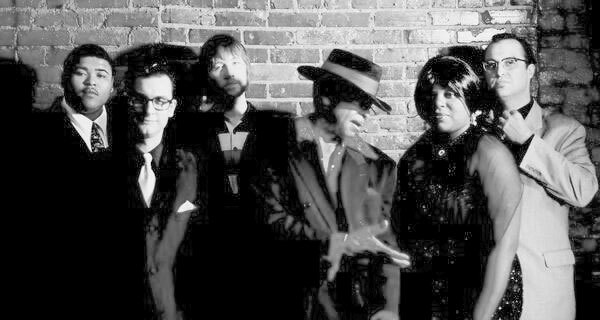 Mark (far right) with Michael Hurtt & His Haunted Hearts. J.D. was born in Flint, Michigan on March 18, 1970 to Dale and Eva (Lewandowski) Kryglowski. James grew up in Flint with a large, loving family, graduated from Powers Catholic 1988, and then from the University of Michigan School of Fine Arts in 1992. He was a lifetime member of the Polish National Alliance and Dom Polski of Flint. A guitar player in his youth, J.D. developed a relationship and played bluegrass with country music scholar Bill Malone in Madison, Wisconsin. J.D. moved to New Orleans in 1992 where he began a long and varied musical career, writing about music, and playing bluegrass, country, punk, rockabilly, rave music and blues. Proficient on many instruments, J.D. has left a legacy of recordings and memorable performances including: The Belvederes, Wiley & The Checkmates, Carroll County Picture Show, and Cowboy Killers in Oxford, Mississippi; Michael Hurtt & His Haunted Hearts, New Orleans; Precious Bryant, Georgia; LCD Soundsystem, New York; Jeffery Evans, Reverend John Wilkins, (Hunter’s Chapel Church) and Jack Oblivion & The Tennessee Tear Jerkers, Memphis Tennessee. J.D. 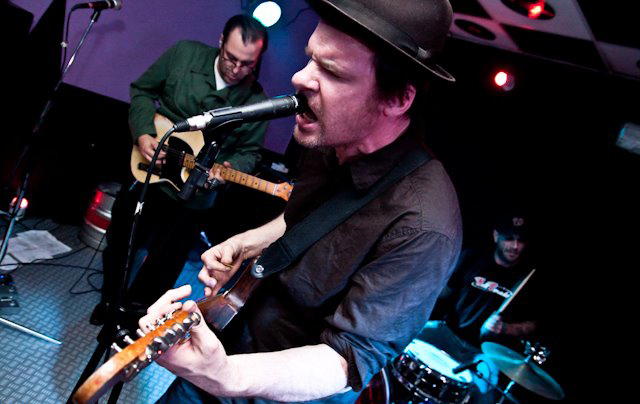 Mark (far left) with Jack Oblivian & The Tennessee Tearjerkers. Photograph by Lorenzo Rockito Priori. With the Checkmates and Haunted Hearts, J.D. backed many of the greats for the renowned New Orleans based Ponderosa Stomp Festival including Herbert Wiley, Harvey Scales, Ralph “Soul” Jackson, Herman Hitson, Roscoe Robinson, Bobby Patterson, Alex Chilton, Jay Chevalier, Grace Broussard, Joe Clay, Warren Storm, Maggie Lewis, Jivin Gene, Johnnie Allan, Earl Stanley, Eddie Powers, and Frankie Ford. Jim traveled extensively throughout the US and overseas “seeing the world.” He continually sought out his appreciation for music and art, always seeking out museums, art galleries and concerts wherever he was. James is survived by his parents Dale Mark and Eva (Dan) Kryglowski, brother Christopher Mark (fiance’ Tonya Horvath), former wife Amy Mark, and special friend Lucinda Corbin. He leaves to cherish his memory all the Lewandowski family Aunts, Uncles and cousins and the Mark family Uncles, Aunts and cousins. Jim had many friends throughout the world whom he met through his music career, he had a gentle soul and will be sadly missed by family and friends. J.D. 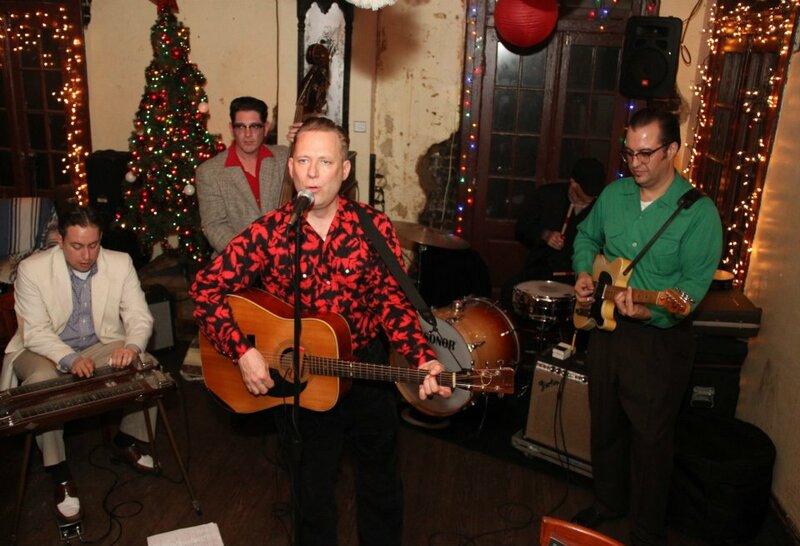 Mark (far right) with Wiley & The Checkmates. 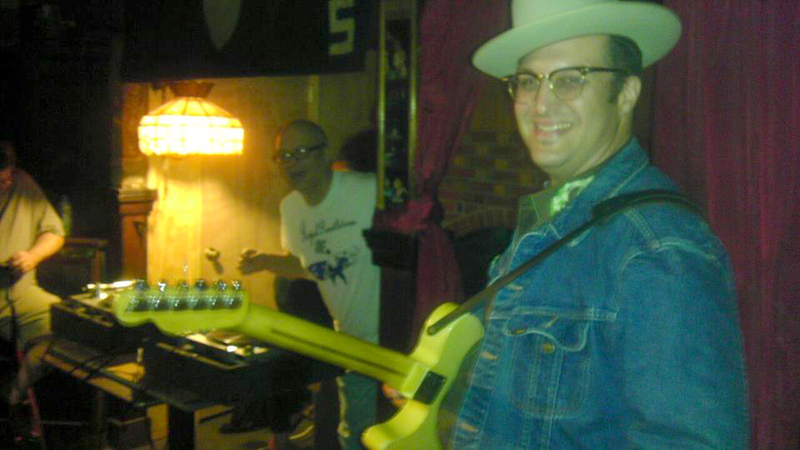 Update: The life of Oxford musician J.D. Mark, who passed away last Thursday night, July 11, will be celebrated Saturday, July 20, 2013 at The Blind Pig in Oxford, Mississippi between 1-4 pm.